Last week I asked which of my Cantillon bottles I should open. The winner was Cantillon Classic Gueze so I will be opening that later today. 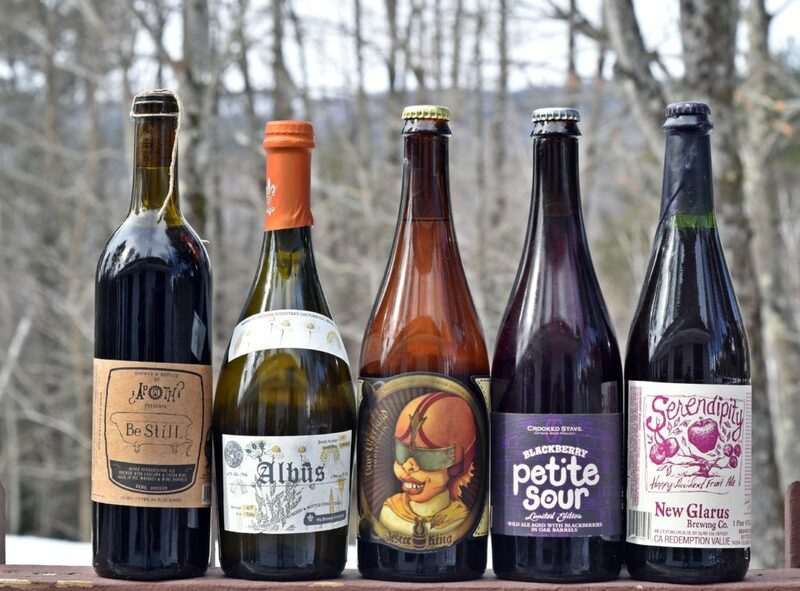 To help decide which beer I should open next week read this entire post as this week’s poll is at the bottom. I buy a lot of beer and occasionally I forget about some of it. Over the past couple weeks I organized my cellar and cleaned out the beer fridge. During this process I found some “aged” IPAs, not intentional on my part but I decided to open them and see how they held up. First up was two bottles of Maine Beer Company’s Lunch from June 2016. A full nine months old and during that time it was stored in my dining room, not refrigerated and subject to all kinds of light. 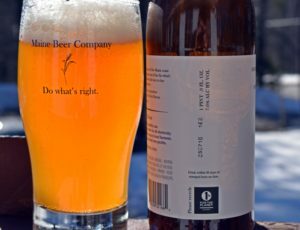 Some of the worst possible conditions for an exceptional IPA. First bottle poured and looked great, aroma was minimal and the taste was not pleasant. After a few tastes I decided to pour it down the drain which pained me terribly. Opened the second bottle assuming I would get the same result however it decided to erupt making a sizeable mess. Drain pour for both bottles. 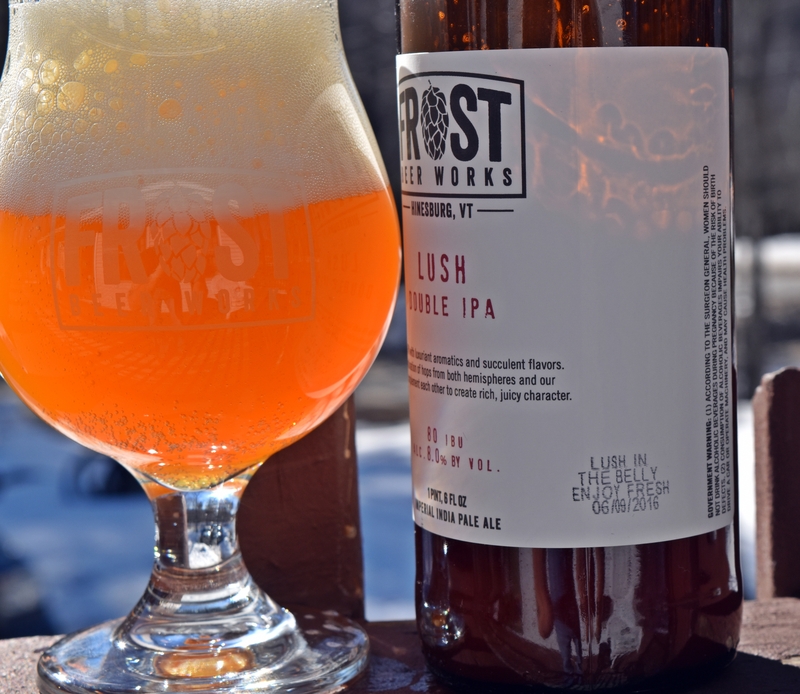 In addition to the two bottles of Lunch I had two bottles of Frost Beer Works Lush DIPA also from June 2016. This is a great beer fresh but I had no idea what to expect after 9 months. After my erupting bottle of Lunch I was prepared when I opened this one, not a gusher but pouring it in the glass took some time as there was much more head than normal. Aroma again was minimal and taste was actually quite a bit worse than Lunch. Again both bottles down the drain. Next up I had a 4-pack of Heady in the back of my work fridge. I beleive this was from when they opened their Stowe Visitor Center in July 2016 so not quite as old as the Lunch and Lush bottles but still far from fresh. These cans were stored cold in the back of a refrigerator and since they are cans light was not an issue. As you probably could have guessed this beer held up considerably better than the first two and I easily finished the can. Pour was a lot cleaner than Heady typically is as it had settled over the past few months. Aroma was muted but still pleasant and taste still had some hop flavor. I have 3 more cans which I will continue age and open them occasionally over the next year. I actually prefer Heady 3-4 weeks after purchasing rather than super fresh. Busy week for visiting breweries. Tuesday included stops at Lamplighter in Cambridge and Mystic in Chelsea. 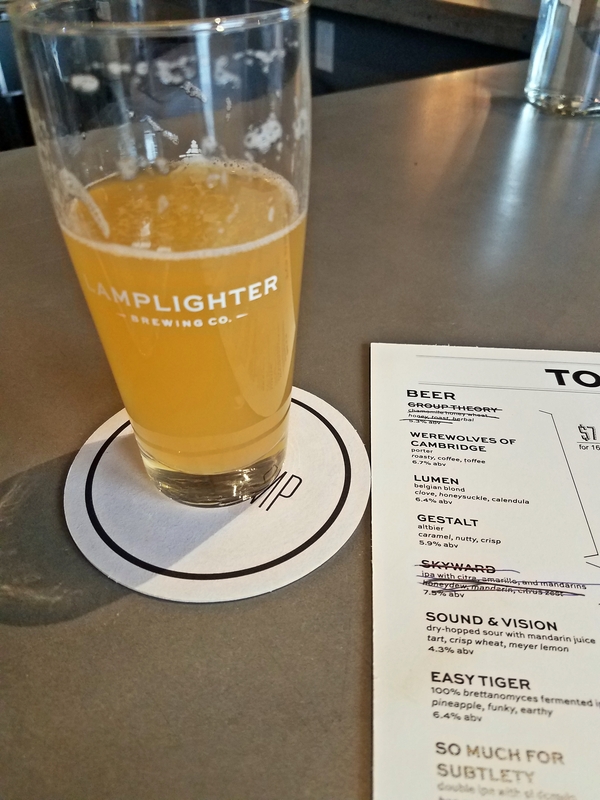 Lamplighter is making great beer and has a graet spot in Cambridge. I bought a 4-pack of Skyward their IPA brewed with satsumas as it was the only beer available in cans. They do sell growlers but some of the beer is truly tasting room only with no option to bring it home. 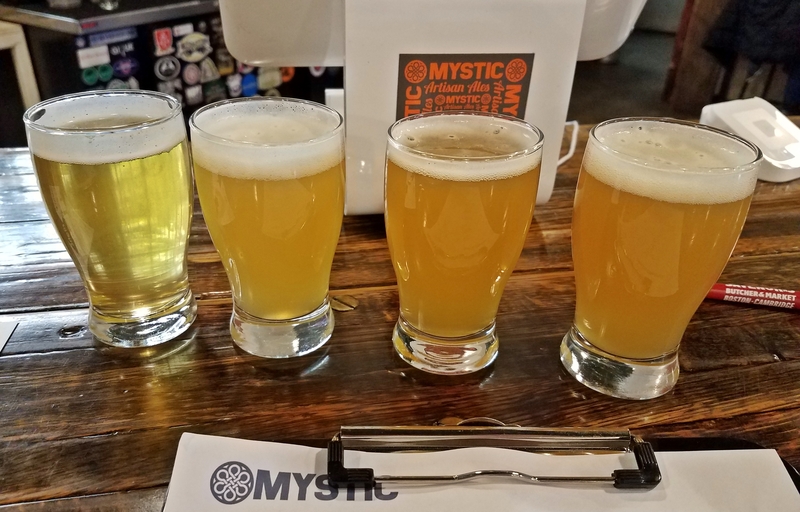 On my way back to Maine I stopped at Mystic Brewing in Chelsea and for a brewery not known for their hoppy offerings they had an excellent pale, IPA and DIPA availble. Ended up with a few brett beers including a couple bottles of Ventus, one to drink soon and one for the cellar. 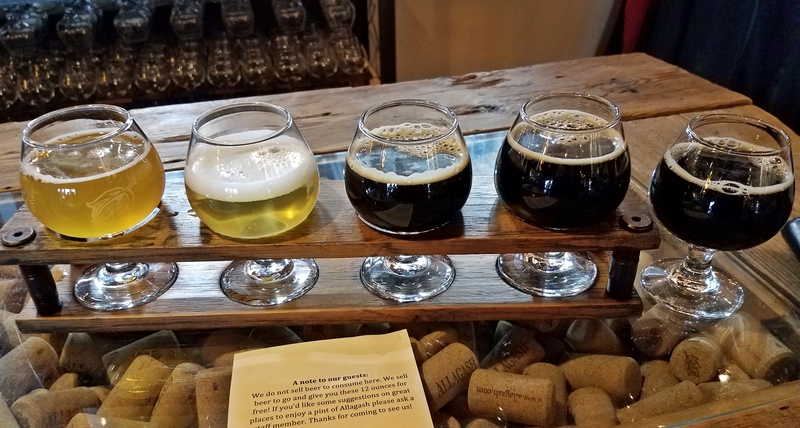 Thursday brought trips to Allagash – always excellent and Geary’s. 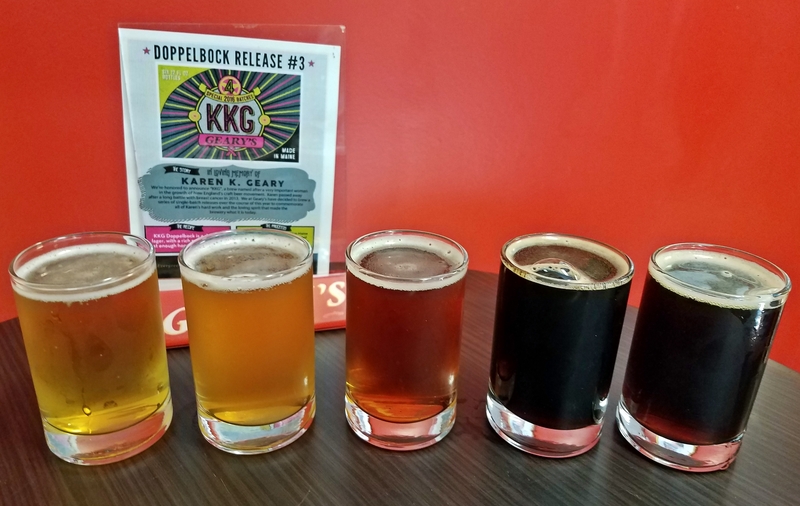 At Geary’s there were 6 beers available and 5 of them were exclusive to the tasting room. If you find yourself on Industrial Way visiting Foundation, Austin Street, Allagash or the soon to open Battery Steele take the time to go over to Geary’s the original Maine brewery. They are also selling 64 and 32 oz growlers to go. 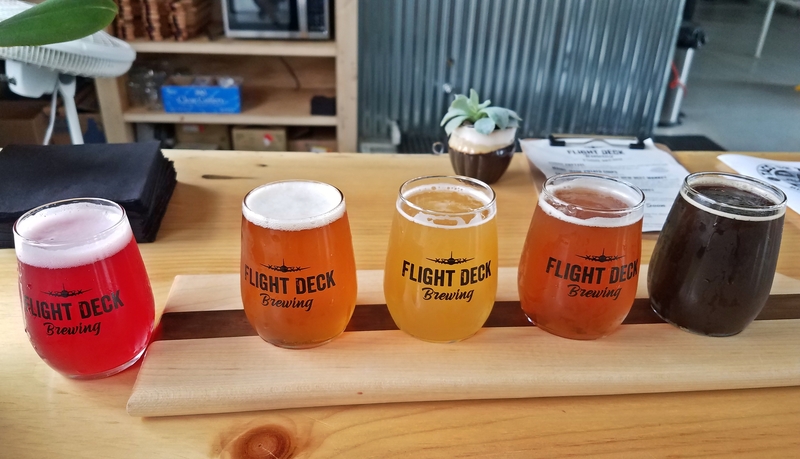 Friday was my first visit to Flight Deck Brewing since they opened a couple weeks ago. Great spot and it was quite busy even at 1:00 on a cold March Friday. Two different tea beers, a nice porter and a solid pale and IPA made for a pleasant trip. Looking forward to more beer from Flight Deck soon. The only beers I drank at home this week were the aged IPAs noted above so no beer reviews as it is not fair to review old IPAs or to write a review based on a sample size from a flight at the brewery. I feel you need at least 8 ounces of beer to really get a feel for the beer. That said the Industrial IPA from Geary’s was very good as was the Irish Breakfast from Flight Deck. This week’s poll includes a number of bottles from away. Some further than others but beers from Oregon, Connecticut, Texas, Colorado and Wisconsin. Just goes to show there is great beer being produced in all corners of the US. – Blackberry Petite Sour – well its a sour beer with blackberries. – Serendipity – sour ale brewed with apples, cranberries and cherries. Which beer should open next Saturday?